Cruising Events are open only to DSC members with cruising crew or cruising skipper membership levels. Advanced registration is required for all events. Cruising Skippers and Crew take out the cruising boats on Sunday and Wednesday Member sails. Cruising Crew receive priority but all are welcome when space is available. The Cruising Program wants to "spread the love" whenever possible! A full day of sailing from 10:00 AM–6:00 PM with lunch underway beyond the bridge and back. Crews will be assigned by the Dock Master as to boat assignment and other pertinent information prior to departure. Crews will be contacted by the cruising skipper as to boat assignment and time to meet on the dock for departure. Open only to cruising-level crew and skippers. One week advanced registration required. Scheduled to coincide with the full moon, these popular events are an opportunity to do some night sailing. Full moon sails leave the docks at approximately 7:30 PM and may return as late as 10:00 or 11:00. Crews will be contacted by a cruising skipper as to boat assignment and time to meet on the dock for departure (times vary based on time of sunset). Open only to cruising-level crew and skippers. One week advanced registration required. The highlight of the cruising season, these popular events are a great opportunity to get some real cruising experience. Scheduled approximately one per month throughout the season, these events are overnight cruises to a predetermined destination on the Chesapeake Bay. The raft-up cruises involve the DSC cruisers and other privately-owned boats for a rendezvous either anchoring or docking together. Crews will be contacted by a cruising skipper as to boat assignment and other pertinent information prior to departure. Open only to cruising-level crew and skippers. One/two week advanced registration required. Newbie Overnight Cruises are offered for any DSC member who is interested in learning more about the cruising program. If you decide to become a cruising crew after a Newbie Cruise, your $25.00 fee will be applied to the $100.00 cruising crew fee. Crews will be contacted by a cruising skipper as to boat assignment and other pertinent information. Crews will be contacted by the cruising skipper as to boat assignment and other pertinent information prior to departure. Open to DSC members and cruising-level members free of charge, space available. Work parties are held on Saturdays at 12:00PM during the sailing season. You can check with individual boat managers also to see if there are projects you can work on other times during the week if you can't make it to these scheduled work parties. You must register in advance for all of the cruising events. The number of registrations accepted will be based on the number of cruisers going out for the events (based on availability of boats and cruising skippers). Early registrants will have priority. Registration for cruising events is limited, so please show up for any event for which you have registered! If you don't show up, you may be preventing another person who wanted undefined and was available undefined to attend. If you register for an event and realize you aren't going to be able to attend, please send an email to Cruising@downtownsailing.org at least two business days prior to the event so that someone on the waiting list can take your place. 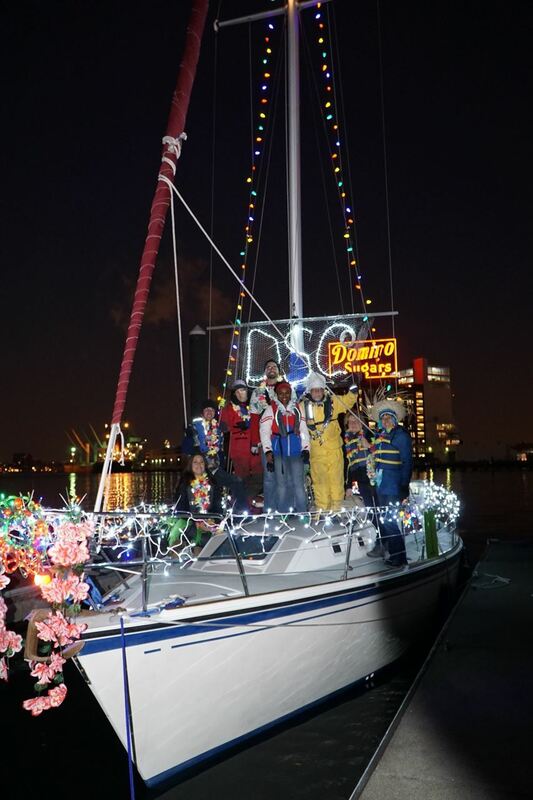 If you have any questions about cruising events, please send an email to Cruising@downtownsailing.org.